Amid a blaze of glory this week - two cans of Watneys Red Barrel and a bag of Twiglets - European Football Weekends launched its very own forum. Before all of this excitement, we had a fairly vibrant discussion board on the EFW Facebook page. But with the necessary upgrading of that group a few weeks back - their decision, not ours - we lost the option of somewhere to chat and collectively offer advice on tickets, fixtures, hotels, pubs and all that type of gubbins. 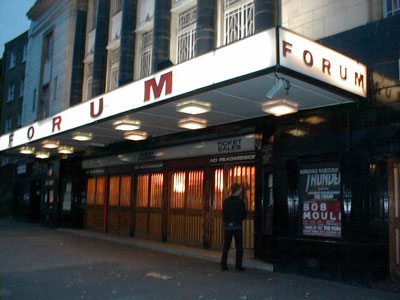 The new forum will, I hope, more than adequately fill that void. Early signs are very encouraging indeed: Mr Jack pondered where he'd get his Summer football fix now that Motherwell's season had come to an end. In stepped Swedish football experts Andy Hudson and Stuart Fuller to offer up pretty thorough advice on where he should go. In between the useful stuff, there's photos of cars in football grounds to be enjoyed. Broom. I didn't start EFW to make any money - blooming good job really - but I did start it to try and create a community of like-minded folk who enjoy watching football, sharing a giggle and sinking a few beers. I think that's worked out quite nicely. You can access the forum on www.efwchat.co.uk, or by clicking on the link on the top right hand corner of the EFW homepage. Cars in football grounds AND former winners of Miss Stockton in football grounds. Howay man, can life get better? A 17 piece all women rhythmic drumming group being harrassed by a multi coloured toucan? Looking good this Danny - well done! Cheers chaps, I've been delighted with the response thus far. transfer window is still open January 2012, but now Chelsea have bid 30 million pounds For Neymar.